Twilight Prophet looks like solid draw with something like Scroll Rack around. Finally, they are getting rid of that annoying "from your hand" modifier. Yeah as I said on a FB group I'm a member of, this is clearly so it triggers when you cast it from the command zone, but cards like this are going to make Mind's Desire (and others like it) kinda interesting. 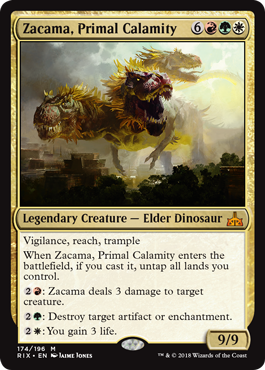 This thing is going to get real old real fast in EDH. Popular tribe with ramp out the wiz-bang and massively good effects and abilities. Slap like one sword on it and its a two shot. This thing is going to get real old real fast in EDH. Also, an Exalted trigger and an extra combat step is lethal. Ten then eleven.